One percent of the U.S. population is gluten-intolerant due to celiac disease or another cause. 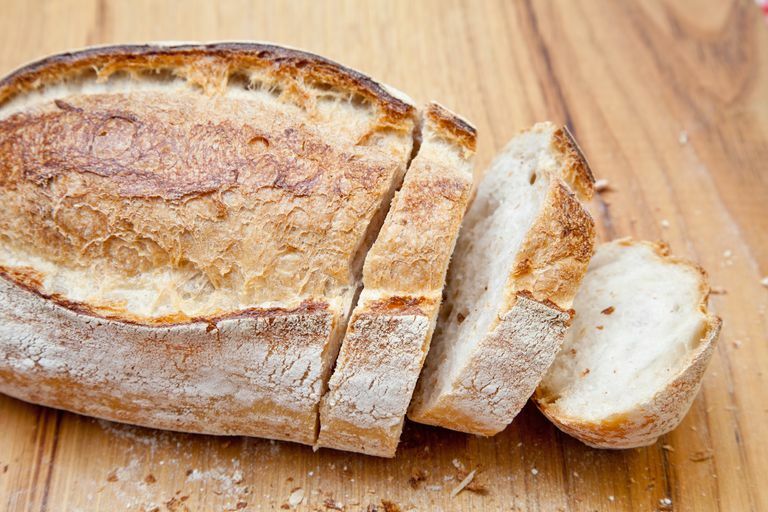 If you think you're gluten-intolerant, you should know that a study in the journal Digestion found that 86 percent of those who believe they're gluten-sensitive can actually tolerate it. Celiac disease patients and the gluten-intolerant should avoid all food products with wheat, rye, or barley in the ingredients list, or that indicate manufacturing in the presence of wheat, gluten, or gluten-containing ingredients. Some celiac patients also need to avoid oats. Wheat berries, wheat bran, and wheat germ. Barley, barley malt, barley flour, or any form of the word barley. Rye, rye flour, pumpernickel flour, or any form of the word rye. Oats, oatmeal, oat flour, oat groats, or any form of the word oats, if your doctor advised you to avoid oats. If your doctor permits oats on your gluten-free diet, look for gluten-free oats. Malt, unless specified as being made from a non-gluten source (such as corn). Breads, pastries, cakes, cookies, crackers, doughnuts, pretzels, and all other baked goods. Breakfast cereals, both hot and cold. Soups, gravies, and thickened sauces. Breaded meats or vegetables, such as fried chicken or jalapeno poppers. Dumplings, meatballs, lunch meats, meat loaves, and similar foods are often held together with breadcrumbs or flour. Salad dressings, Worcestershire sauce, and other condiments. Dining out poses a challenge for those with a gluten allergy because it’s not always clear whether or not dishes contain gluten. There is a new trend towards restaurants catering to their gluten-free population and even having a separate menu with items free of gluten. When in doubt, ask your server how a dish is prepared and ask for substitutions whenever possible. Eating, Diet, & Nutrition for Celiac Disease | NIDDK. National Institutes of Health. Grains and Flours Glossary. Celiac Support Association. What Can I Eat? Celiac Disease Foundation.